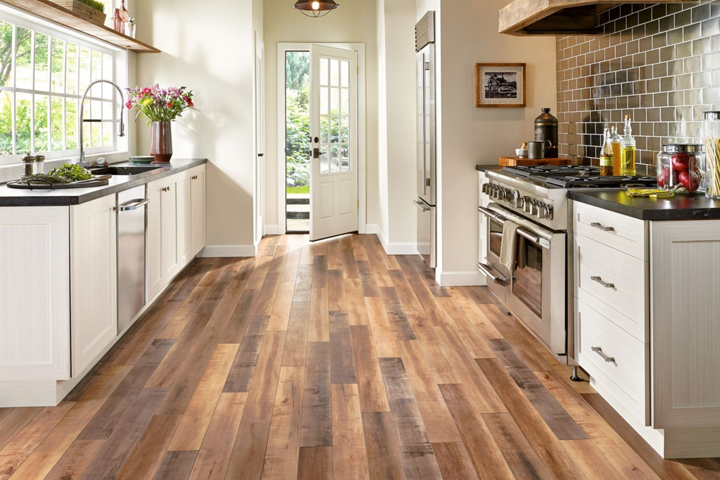 In order to know what the best method to use for your new floor installation you must decide the type of flooring you are putting down. For example, the installation for putting tile down would be different from carpet installation. The step that covers all flooring is that you have to remove any existing flooring. You also need to make sure that your sub-floor is in good condition too. This will make things neater and easier for your new floor installation. The subfloor is the layer that is below our flooring and supports the floor. To make sure that it is in good condition before you install your new floor you need to check to see if there is any dipping or sagging as you walk over it. If there are any severe dips they will most like be noticeable. If you see any problems, you should either add supports underneath to prevent any more damage or replace the portions of the floor that is damaged. The smoother your sub-floor the better the new floor will look once it is done. This is especially true for tile because a floor that is uneven could result in cracks or breaks in the tile. Although the correct methods for installing new flooring depends on the flooring you choose there are some things that you need to do for all floor installation. Doing these things can make the experience of floor installation easier and save time. • Make sure that the subfloor is as smooth and clean as you possibly can. • Make sure that the flooring you have chosen is designed for what you intend to use it for. When installing this type of flooring be sure that you measure the floor and cut pieces of the floor ahead of time. If you need to cut tiles make sure that you have the right type of tile cutters. You will need the type of tool that can cut straight lines along with angles and curves if you have to fit them around appliances or fixtures. When installing tile it is a little more complicate. You will use chalk to mark off the room into four squares that are equal. By doing this you can start from the inside and work your way towards the wall. Make sure that you line the tiles up against the inside corners of every chalk square. By doing it this way any tiles that you have to cut and made to fit will line up at the wall and not in a prominent are of the floor. Copyright © 2019 ACB Homes. All rights reserved.